My grandmother has Alzheimer’s disease. She is afraid to take a shower. She talks about her long dead father as if he is still alive. When she is at her house, she asks if she can “go home.” We love her and it’s hard to see her this way. It’s also a painful reminder that we are not in control of our brains. They control us. I had a similar revelation in my twenties when I found out I have epilepsy. I don’t have full-body, generalized seizures, just partial complex ones. Images race through my head and I think I recognize them from a dream. I have a sickening surge of adrenaline, that roller coaster feeling in my stomache, Deja Vu and sometimes the room feels as if it’s sideways. My own brain betrays me and makes me recognize or perceive things that aren’t there. 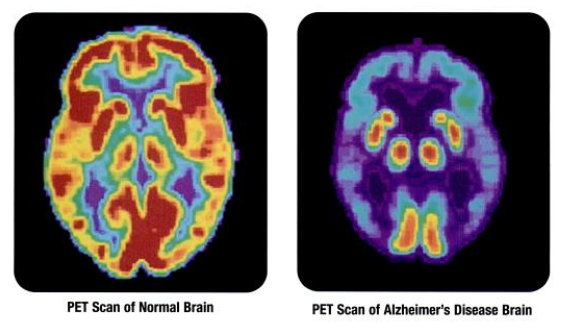 I can only imagine it’s worse for people with Alzheimer’s, schizophrenia, or Parkinson’s. I have found an anti-convulsant that has controlled my seizures for five years, the others, with the exception of medications that can help reduce symptoms schizophrenia, don’t have cures yet. And it doesn’t take a disorder to be at the mercy of your brain. All our brains betray us as we get older. When they decline with age, our perceptions and cognitive functions go down hill too. The human brain begins to lose volume and weight in the 20s and continues throughout life. At best, it leads to declines in memory and cognition speed, at worst to neurodegenerative disorders. A new study suggests though, that there is a preventative measure that is a side effect-free a free alternative (unlike my anti-convulsant that has gone up and down in price and at one time cost about $375 each month when I had no coverage for epilepsy-related costs due to a pre-existing condition clause). Meditation. Those who meditate have shown less white matter loss, and according to a more recent study, less grey matter loss as well. The study took 100 people aged 24 to 77. There were 50 people who meditated and 50 who did not. They found that both groups experienced grey matter loss, but those who mediated had significantly less loss. The difference between those who meditate may actually have more to do with personalities, lifestyle factors or genetic brain differences, but with more people on this planet living longer who may experience brain decline, meditation may be a factor worth exploring. It makes me want to try meditation, but a novelist’s brain is always thinking, it might be difficult at first, but here it goes…..Deep breath….Wait, what if the plane chase scene happened during a storm? Dang……..Oh! What if Rob was a woman? How would that change the story?…. Oh no. This might take a while.